The Married Put strategy is also referred to as a Protective Put. In a Married Put strategy an investor will purchase shares of the underlying stock while purchasing an equivalent number of put contracts to protect the purchased shares of stock. The purchased put acts as insurance for the underlying shares as they have purchased the right to sell the shares of stock at the strike price between the time of purchase and the expiration date of the put. Since the investor is purchasing the stock and an equal number of puts, there is an overall net debit for the position. The total out of pocket value to enter into a Married Put trade is equal to the price of the stock plus the premium of the put option. This value is referred to as the Net Debit. 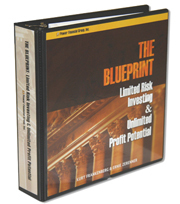 The maximum profit for the position is unlimited as the stock could rise infinitely. The maximum monetary value at risk is equal to the net debit for the position minus the strike price of the purchased put. Investors use the Married Put strategy to protect shares of stock against large drops in the underlying stock. This is a bullish strategy, as the investor is looking for an increase in the underlying stock price to earn a profit. The purchased put gives the investor extra insurance on the position for an additional cost. » Buy a stock and buy a put option for protection. » Neutral to bullish strategy. Profits come from the stock rise. The put protects against large stock decline. » Same risk/reward profile as a long call but you own stock equity rather than the depreciating call value. » Can be used with an income generating strategy like covered calls to create collar positions. » One of the most conservative stock options strategy's. Buy shares of an underlying security. Buy an equivalent number of put contracts against the purchased shares. The sum of the stock price and the put premium is the net debit. The maximum risk is equal to the net debit minus the put strike price. The maximum profit is unlimited as the stock could rise infinitely. The Break Even point is equal to the net debit. Profit is realized when the stock rises above the Break Even point. This example is an In-the-Money Married Put example. The strike price of the put is higher than the current underlying stock price. This would give the investor the right, but not the obligation, to sell their shares of stock at $55.00 at any time between now and the expiration date even though the stock was trading at $49.90. However, because the put is ITM, the investor has to pay a higher premium because of the intrinsic value. In Married Put example 2, the OTM has a lower ask price, thus the position has a lower Break-Even value, but a much higher maximum risk. Since the 45 put is OTM, the stock is not protected until it drops below $45 per share. The maximum loss is limited due to the protection of the put. Married Puts allows investors to enter a long stock position with low % risk. Provides safety against a surprise gap down in the after hours or pre-market. The investor will have to pay an additional premium for the extra protection. Although the strategy greatly reduces risk, it does not erase all risk.